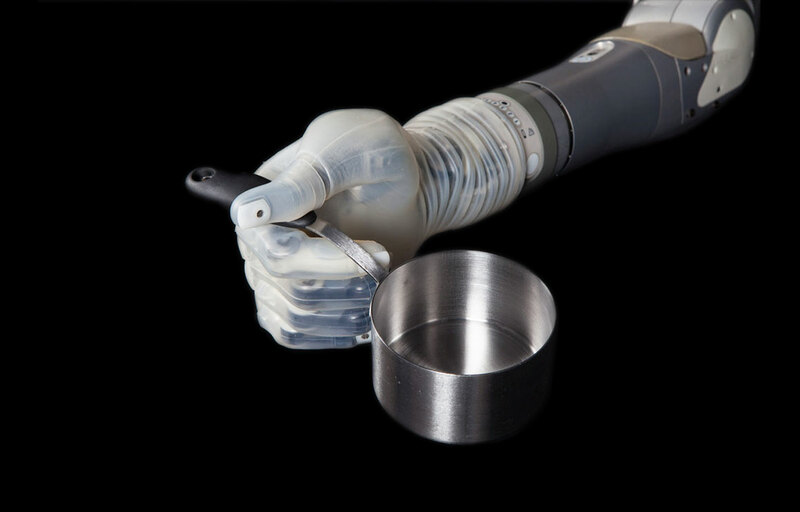 The LUKE arm is the only commercially-available prosthesis with a powered shoulder, allowing a shoulder-level amputee to reach over their head. 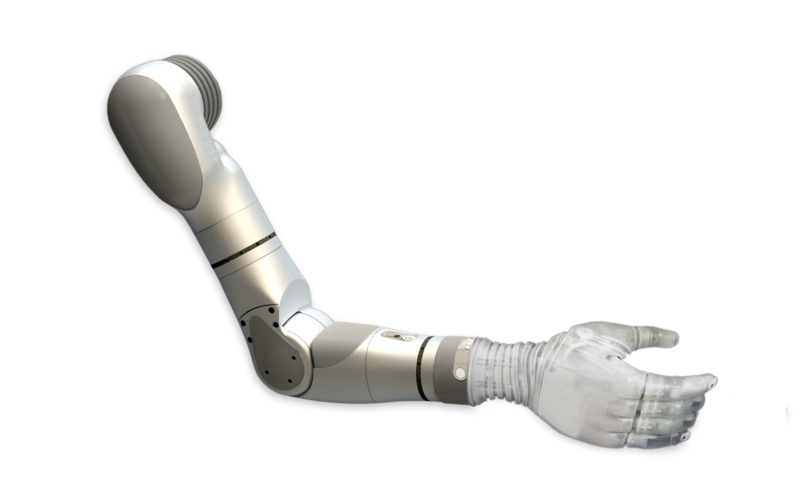 In its shoulder configuration, the LUKE arm features ten powered joints. + Illustrations are for demonstration purposes only and may not reflect the exact range of motion of the LUKE arm. 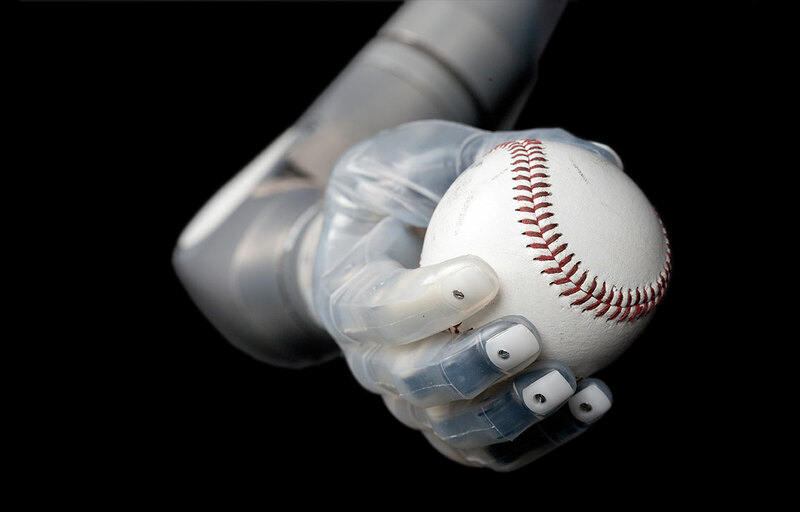 The hand on each LUKE arm is pre-programmed to perform a variety of grip patterns. 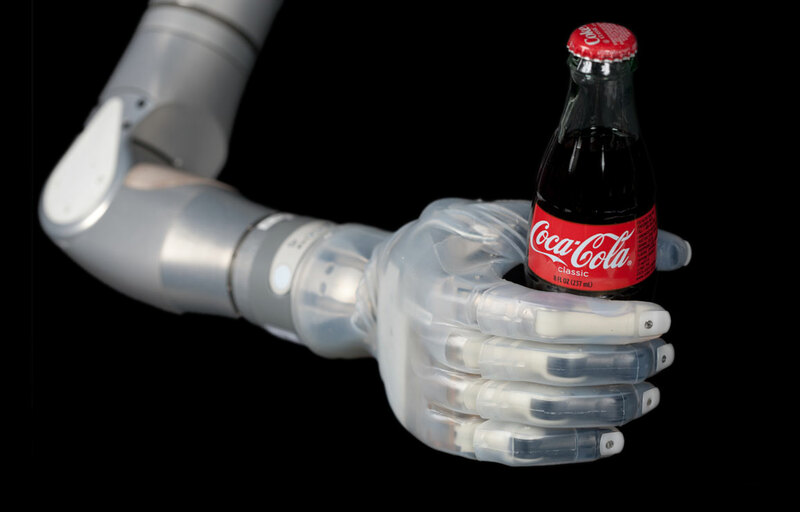 The power grip is used to grasp larger objects such as bottles, handles, etc. 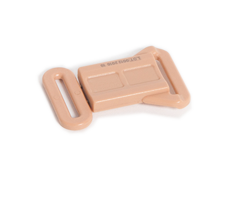 The tool grip can be used to grasp a tool handle and independently operate the index finger to trigger the tool. It can also be used for many other applications such as typing. In the fine pinch closed grip, the tips of the thumb and index finger come together while the middle, ring, and pinky fingers are closed. 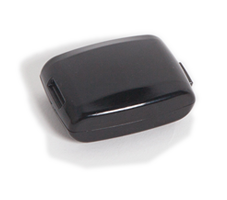 The fine pinch closed grip allows the user to pick up and grasp small items or pinch a zipper, for example. The fine pinch open grip is similar to the fine pinch closed grip except the middle, ring, and pinky fingers remain open and extended. The fine pinch open grip may be useful in grasping items where the closed fingers would interfere. In the lateral pinch grip, the thumb and index finger come together allowing the user to grip items such as keys, pens or pencils, forks, knives, or spoons. In the chuck grip, the thumb engages the index and middle fingers directly, creating a three finger hold. It can be used to grasp round objects such as door knobs, bottles, cups, etc. 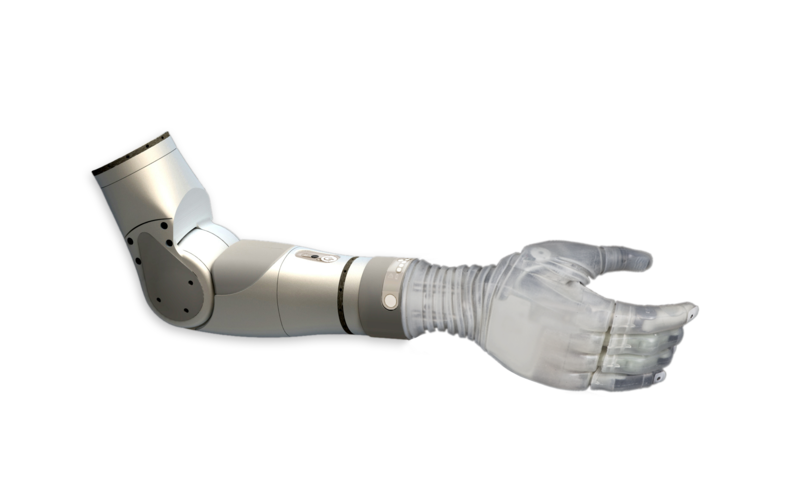 The LUKE arm has a flexible control system that allows the arm to be controlled by a variety of input devices.  Most industry standard input devices such as surface EMG electrodes and bump switches may be used. 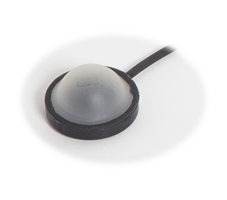 In addition to the many control input options, the LUKE arm may be controlled with Inertial Measurement Units (IMUs) that are typically worn on the user’s shoes. They read the tilt of the user’s foot and interpret each movement like a joystick to control the arm. 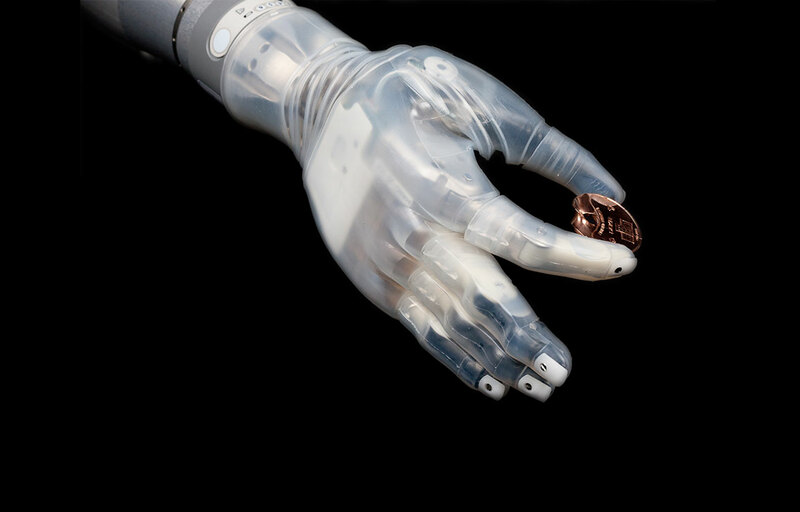 * The Inertial Measurement Units (IMU) are Mobius Bionics’ own input device created exclusively for the LUKE arm. 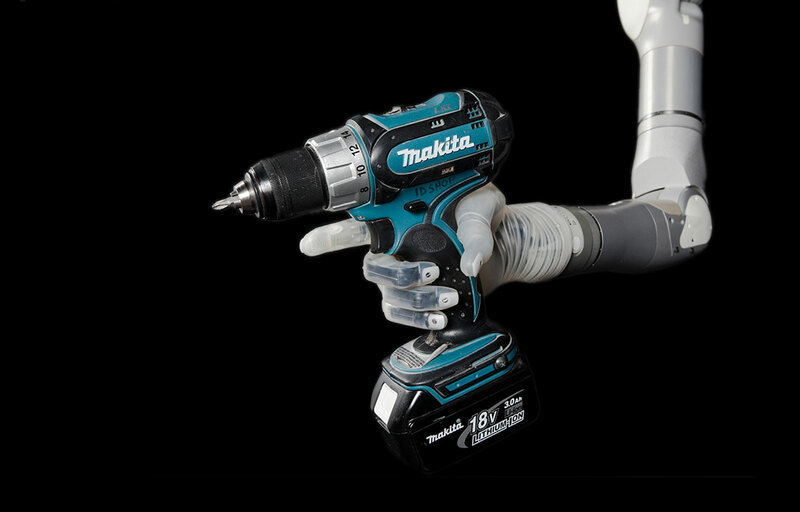 Proportional speed control allows for more fluid motion by letting the user control how fast the joints move by adjusting how gently or aggressively they trigger the input signal. The compound wrist combines the movements of Wrist Flexion and Extension with Ulnar and Radial Deviation which allows users to grasp objects above the head or below the waist while keeping the hand level. 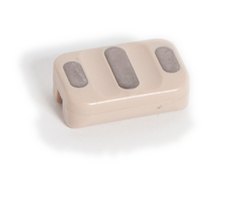 Humeral and Shoulder Configurations are orderable with an optional internal battery that can be used by itself or in conjunction with the external battery to extend usage time. 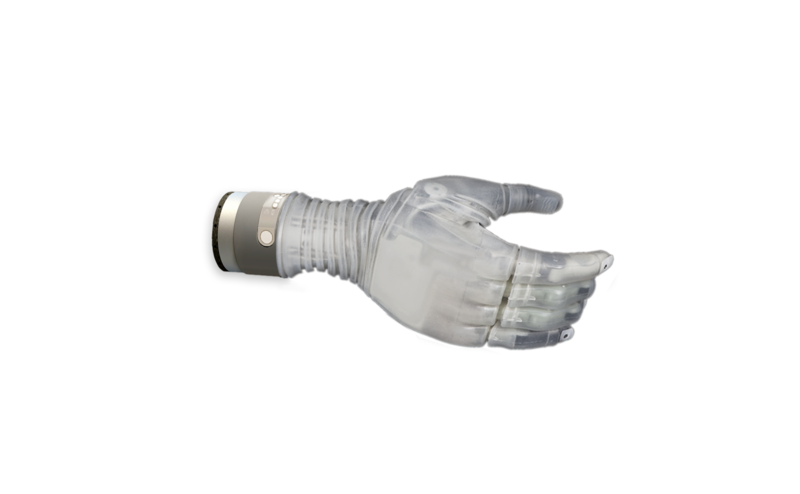 The LUKE hand has a powered thumb, powered index finger and combined powered middle, ring and pinky fingers that allow the hand to conform to different objects in multiple grip patterns. A tactor (vibratory motor) can be mounted to the user’s socket to provide vibratory feedback. 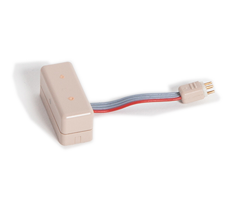 This can be activated by sensors in the thumb and/or by switching modes and grips. 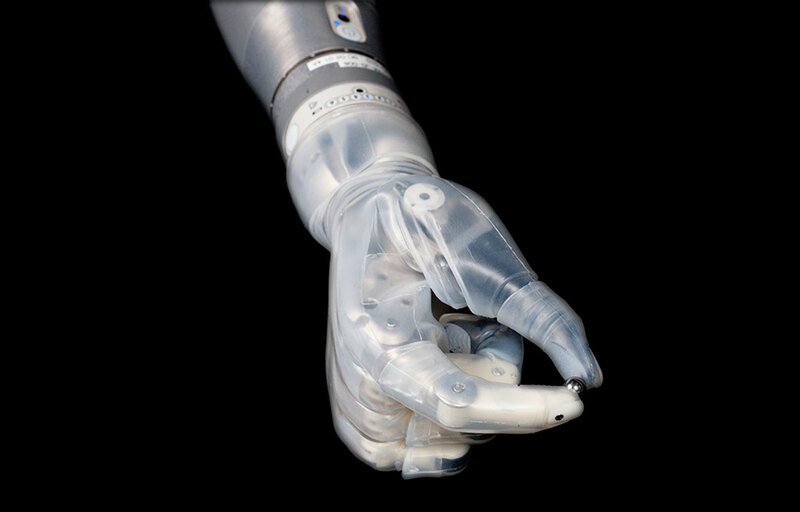 The software used by the prosthetist to set up the controls of each arm has a simulated arm which allows users to test and practice their controls while making any desired changes prior to donning the arm.